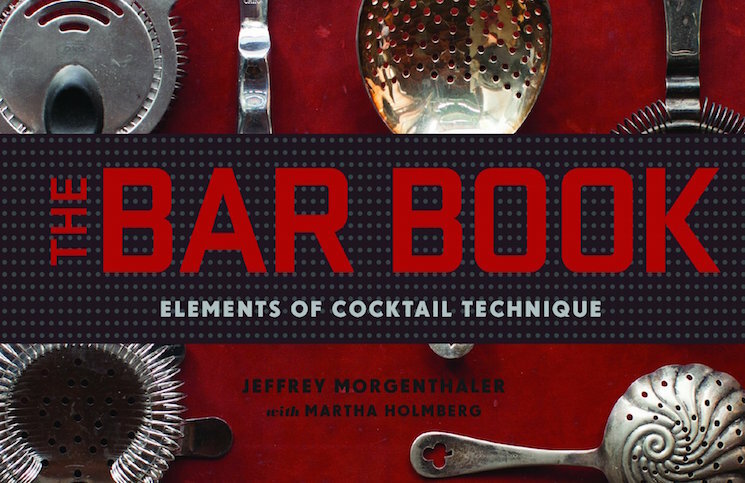 Almost every cocktail shares one common ingredient: ice. Whether you shake or stir a cocktail, you use ice to chill, bind, and dilute your drink. Ice is an extremely important part of the cocktail equation, and to make cocktails in any significant numbers you’re going to need a lot of it. One of the most common mistakes when making cocktails at a party is underestimating how much ice you need. It’s important to take into consideration that you’ll need AT LEAST a pint glass full of ice per drink. When I make drinks, even when they aren’t served on the rocks, I fill both my Boston shaker with ice and the glass that I’ll be pouring the cocktail into (to pre-chill the glass). I dump out the ice that’s been chilling the glass, and if I am serving a drink on the rocks, I put fresh ice in when I pour the cocktail. For a cocktail party of five to eight people, I’ll pull ice from my ice maker for two to three days prior to the event and put it in big metal bowls in the freezer. It takes that much ice. If I’m making drinks at a party with more than eight people, I often have no other choice but to buy several bags of ice. I’ve never regretted buying more ice than I thought I needed for a party; I’ve had to go make ice runs more times than I’d like to admit. In addition to being a key ingredient in most cocktails, ice is a great tool to make a big impact in the presentation of your drinks. When making cocktails, I typically have “special ice” that I use for the final drink. 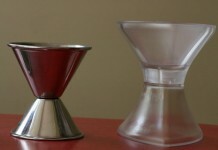 Good ice molds aren’t expensive, and they can be found in many shapes and sizes online. 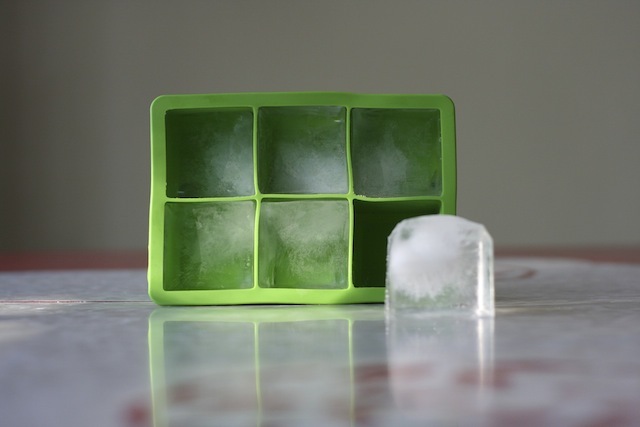 I use the Tovolo King Cube Extra Large Silicone Ice Cube Tray, which makes two-inch square cubes. You can pick up these trays for under $10, so it’s worth getting a few. A company called Fred and Friends makes a wide variety of themed ice cube trays, everything from shot glass ice molds to sunken ships to ice jewels. Again, all these can be picked up for around $10, and the impact they make in your drinks is huge. For serving whiskey to someone who wants it with ice (especially Japanese whisky, which does well with ice), I make ice spheres. Unfortunately, the ice molds to make spheres are a little harder to find, but they pop up on eBay under “Ball Shape Ice Cube Trays Mold” for around $14 for a tray that makes three to six 1.96-inch spheres. Round ice melts at a slower rate than square (it’s a physics thing), so a big ice ball is ideal, especially if you are serving something that’s really high quality. Ice may be the easiest part of your home bar to overlook, but it’s also one of the most important. A little preparation and a few creative tools can make a massive impact when you serve your drinks.